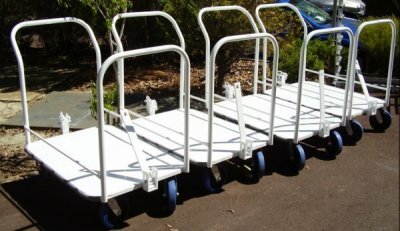 These tug trolleys can be hitched behind behind each other and attached to a tug or tractor. We can custom build to suit your needs. Please contact us with your requirements.